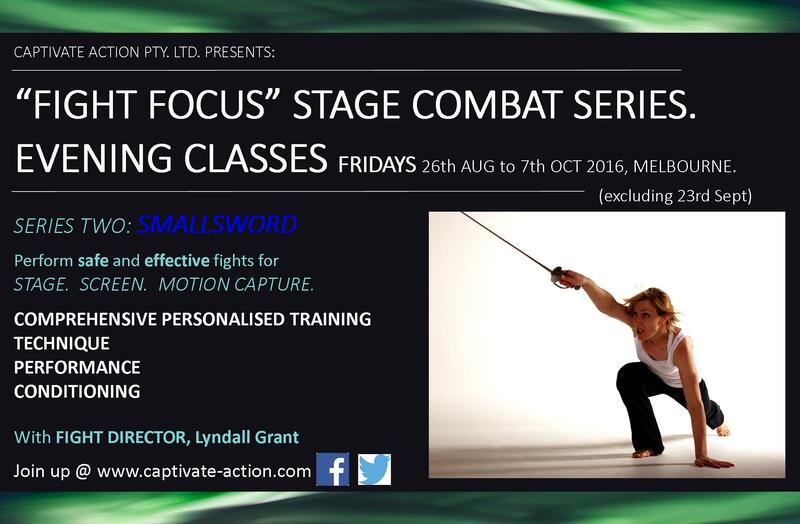 FIGHT FOCUS – Weekly Evening Classes | Captivate Action Ltd.
MELBOURNE, AUSTRALIA: FRIDAY EVENINGS. 26th August to 7th October 2016 (excluding 23rd Sept). 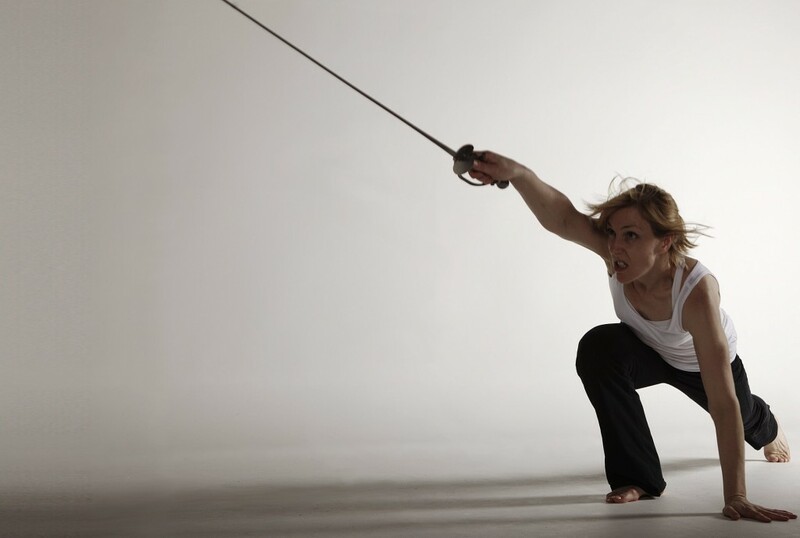 The Fight Focus sessions are a comprehensive training series that give you the foundations of fighting with specific weapons and styles for stage, screen and performance capture (motion capture). 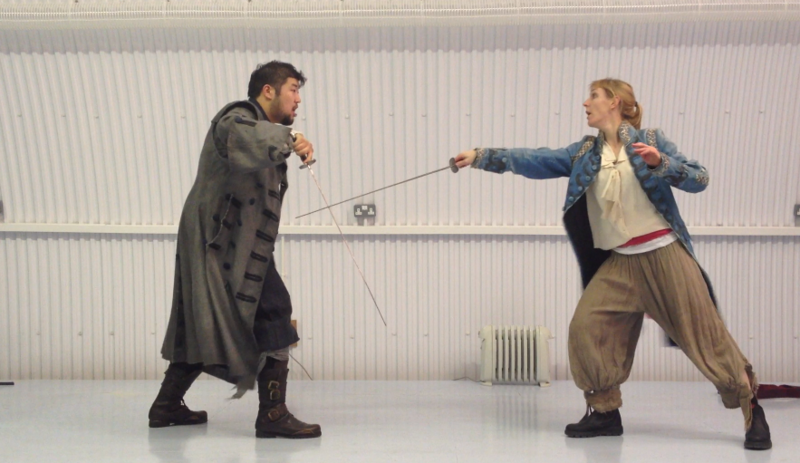 Our next series is features one of the most beautiful forms of European swordplay, the 18th Century Smallsword. This is the weapon linked with the pomp and show of the 18th Century, and can be considered to be the ultimate civilian sword that was the result of centuries of development, study and refinement. By focusing on one weapon for the series, we can get a solid understanding of how to keep smallsword fights safe, look effective, and look like our character knows what they’re doing! Of course many of the skills you learn in the series with this weapon can also be transferred to a number of single-handed civilian swords that for theatrical swordplay. So we will be honing in on form, technique, conditioning, integration of movement, awareness, control, relaxation… While exploring story-telling to bring a dramatic scene with this weapon to life. That is – we are going to have a huge amount of FUN. 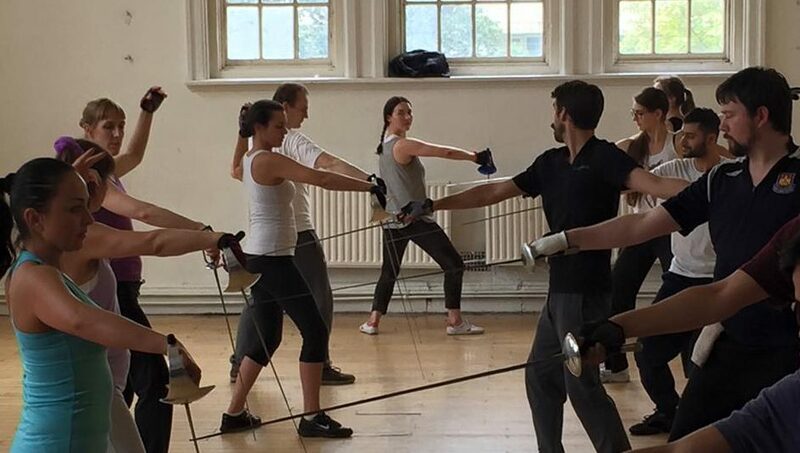 There will be historical context threading through the course, however please note this this is a Dramatic Combat course and not a Historical Martial Arts course – for that do chase down the many great local HEMA groups! Friday evenings, from 26th August to 7th October 2016 (excluding 23rd September), 7:00pm to 10:00pm. The course will cater to all levels of experience. We also cater to all levels of physical fitness and abilities – although of course the more in-shape you are, the more you can get out of each week. You will also benefit greatly from training and rehearsal in between classes. If you have any questions or are unsure, just get in touch. To register and save your place, simple go directly to our ONLINE REGISTRATION FORM. You should receive an email reply in the next 24 hours – so if you haven’t, check your junk mail and then get in touch! You place will be confirmed on receipt of full payment.